Thai Takenaka 1988 27 72/36 7009 45 minutes from downtown. 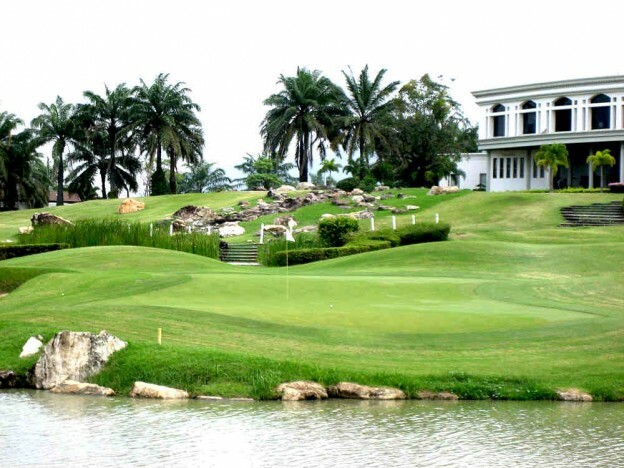 The Crystal Bay Golf Club lies 45 minutes from Pattaya and is a 27 hole course. Often described as an Hawaiian style course, it has recently added extra palm trees to increase the parkland course feel to it. Water is featured on the perimeter of the holes; the course has lush fairways, plenty of well placed bunkers on the hilly fairways. The greens while quite large are undulated, but are not really dramatic. This course is a delight for every golfer. This isn’t a difficult course and there are more birdie opportunities than normal, enabling you to play your handicap or even better! Testing Par 3’s are a characteristic of this course. If our discounts couldn’t convince you to use our services, you should also consider the benefits of writing term papers for money which are quite tempting.